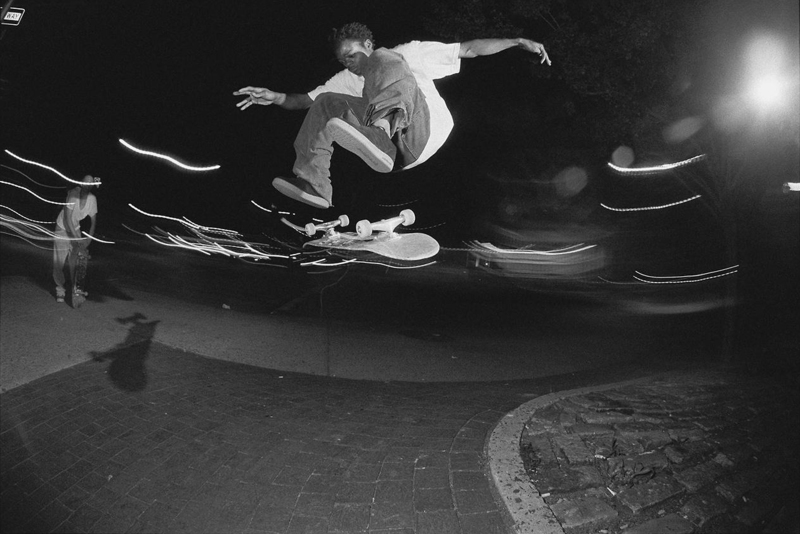 It was the early 2000s and New York skateboarding was growing. 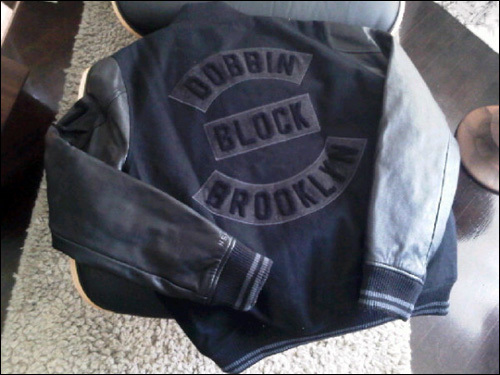 Tight-black-denimed and Diesel-jeaned transplants were moving to newly gentrified Williamsburg and Bushwick by the zillions, thus bringing new eyes to spots that were otherwise only known to few North Brooklyn locals (Vinnie Ponte or someone had like one trick there in either Peep This or Heads too.) With BAM knobbed and slated for demolition, the Verizon Banks — located at the then in-the-cut intersection of Meserole and Lorimer — became the most recognizable skate spot in Brooklyn. Sadly, it did not live long after the release of Vicious Cycle, the seminal video that won the spot its desirability. It became blown out and knobbed before class of 2006 high schoolers even received their acceptance letters from Pratt. More sadly, alcoholism-inducing North Brooklyn destinations like Reggaeton Ledges, the B.Q.E. 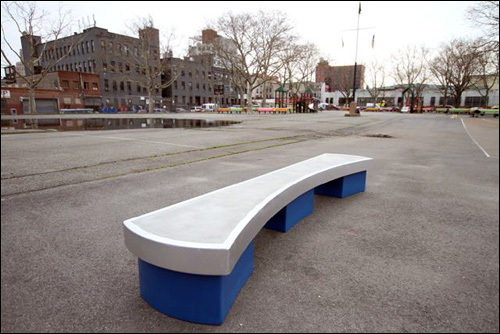 Lot and…the McCarren black “ledge” became the borough’s most sought-after spots. Ten years passed and something happened. 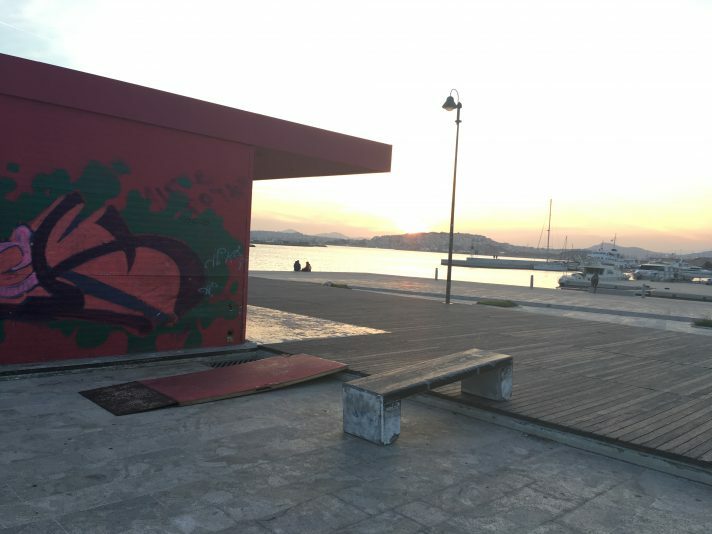 People began skating Verizon Banks again. Anytime an e-mail from Sweet Waste AKA Black Boy White Boy shows up in the inbox, its contents become a mandatory post. At the onset of the millennium, the residents of Dobbin Block were pioneers in taking trains out to neglected, far off portions of New York City, all for the purpose of discovering spots that don’t look like spots, spots that require massive amounts of quick-crete and repair, or spots that are in the middle of project buildings full of bottle wielding Puerto Rican children. They are also responsible for some of the finest Fourth of July festivities you could possibly find in this city. (“We had one called ‘Fear in Your Enemy’s Eyes’ that costs $500 and is the size of a table.”) Below, is their latest low-def video endeavor featuring more traditional spots than some have come to expect. Why exactly skatepark designers, when put to task of maximizing on a space in New York City, have opted for throwing in everything throughout a park minus a regular ledge is anyone’s guess. 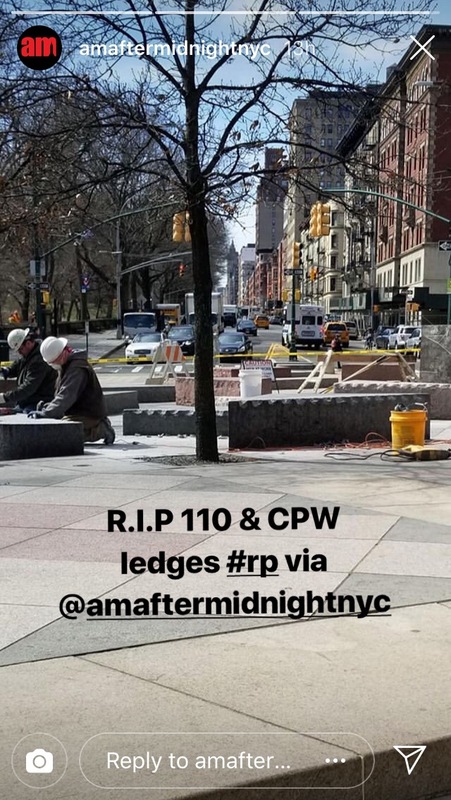 Tribeca, Maloof, and Astoria barely have anything you could call a regular ledge, yet somehow, ledges would be on the top of the list if you ask someone what sort of spot they’d like to have more of in New York. Lenox is our best ledge spot, and five thousand people will come to the T.F. when there’s a new box. (But then again, many of us go to the T.F. for the culture, so the box is hardly an incentive.) By some miracle, McCarren got it right, and appropriately enough, the park is so awful that you could actually consider it to be a legitimate street spot. The people at Open Road, California Skateparks, Friends of Douglass Greene Park, and the Tony Hawk Foundation were smart enough to figure out that the best thing for New York, a place where twenty people would line up to skate a concrete island into traffic in the back of Union Square, would be to put three ledge-like obstacles in a basketball court, as opposed to spending hundreds of thousands of dollars to build a wedge ramp to a ledge with a Euro gap three feet after it. 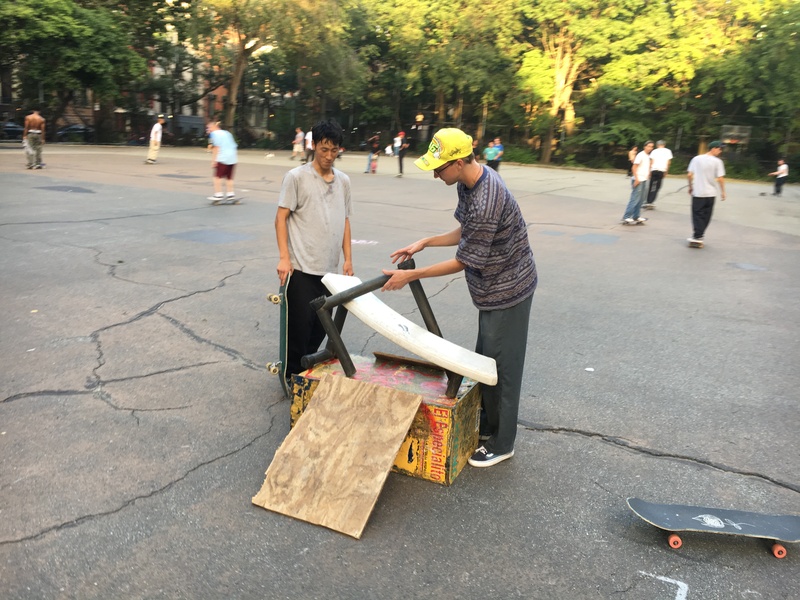 Now at Douglass Greene Park on 3rd Avenue and Degraw Street in Park Slope, they have a bench with one curved side and another straight side, a low manual pad, and an up-and-down sort of triangle ledge, all on familiar basketball court ground. Take the D, N or R to Union Street, skate north for two blocks, and make a left on Degraw. 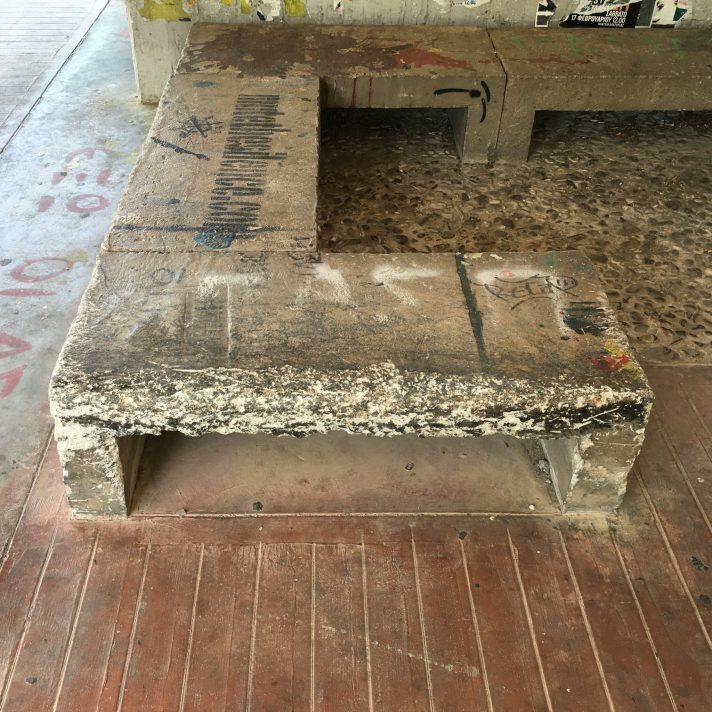 Billy claims that the Parks Department still has all the original marble from Red Benches, BAM, etc. in storage. It’d definitely be a step in the right direction if they recycled it into a similar type of project instead of building six other skateparks that get crowded as soon as school gets out.